The Laser hair removal treatment is another good choice that can be considered if you’re looking for a permanent hair removal solution for areas like the eyebrows (shaping purposes), the side locks, the upper lips, chin or neck etc. Laser Hair Removal treatment specialist at SkinCare ensures to do it to a nicety. During the procedure, the other parts that are not under the beam will be covered to protect the skin. This is done with the help of a cooling device or gel that is applied on the skin. For those who are looking for a permanent way to reduce or eliminate unwanted hair, the effective and Laser Hair Removal is undeniably one of the best methods. This can be done on various parts of the body and is generally done by a specialist who is trained to carry out the procedure in the right way. Considering that this is a medical procedure, the relevant precautionary measures are taken so that the procedure can be success. The roots or follicles are targeted with the help of the laser light. This is why it is generally done when the hair growth is at its full length. This is a permanent treatment when it comes to the removal of unwanted hair from areas like the underarm, arm, leg, face, bikini lines etc. This is a very precise treatment and is performed only on the area that it is intended to. Since all the precautionary measures are taken, you can be sure that it will affect no other area. Considering that this is a fast procedure, the speed factor is really beneficial. Since there are many follicles that are targeted at the same time, the area can be treated within a matter of seconds. However, in areas where patient has long hair, it can take some time. This includes the legs, hands and even underarms or back etc. These results can vary depending on the area that is being treated and the size of hair; and, that’s the reason why this treatment is very predictable. It’s a convenient and effective treatment as it can target big or small areas easily and the results are visible immediately. For the complete removal of hair, the specialist will recommend different number of sessions. Areas targeted for Laser Hair Removal treatment at SkinSpace. This area can be targeted if you want to alter the shape and size of your eyebrows by taking out unwanted hair. You can get the laser treatment done for your upper lips to eliminate the growth of facial hair in that area. Several men and women prefer taking out hair from their chin. Laser treatment can be used as a permanent solution for this area also. While some men love getting their side locks styled, some prefer to get it trimmed just like women. The Laser treatment can be used if you want to define the shape of your side locks and take out the excess hair. Shaving or waxing the hair on the hands is one of the most common things that are known today. Using the hair removal method, you can get this done as a permanent solution. Though you have treatments like shaving and waxing for the legs, however, these treatments are not permanent. In the case of the laser treatment, since it is a permanent solution, you can be sure that within a few hours itself you will see a noticeable difference. In a matter of a few seating, this problem will vanish off completely. There are some people who have a lot of hair on their back. Such folks can opt for laser treatment depending on the amount and thickness of the hair. The hair removal treatment can also be used for underarms. Beauty conscious individuals are now slowly turning to permanent underarm hair removal so that they do not have to get it done regularly. Laser treatment also reduces the growth of the hair on chest region instead of removing it completely. 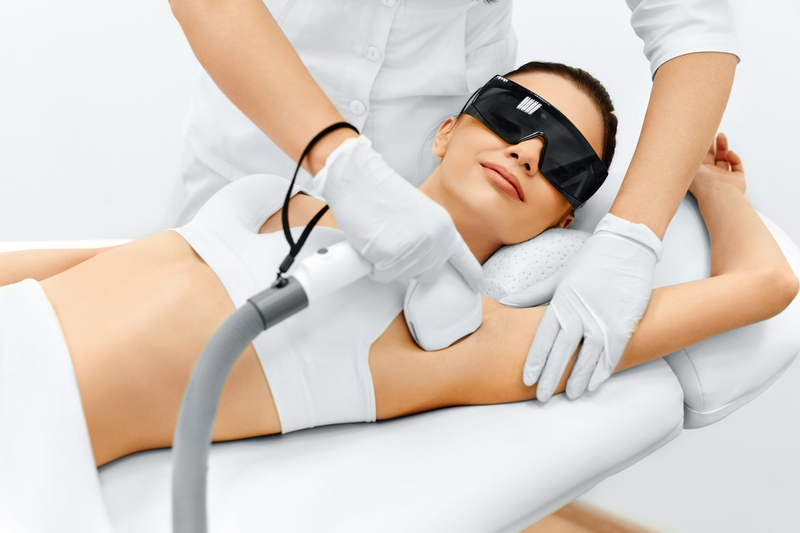 Laser Hair Removal treatment available at SkinSpace can be really helpful. Considering the sensitivity of this treatment, it is not at all essential for the specialist to know how the procedure is done; however, the post and pre-treatment guidance also plays a vital role.